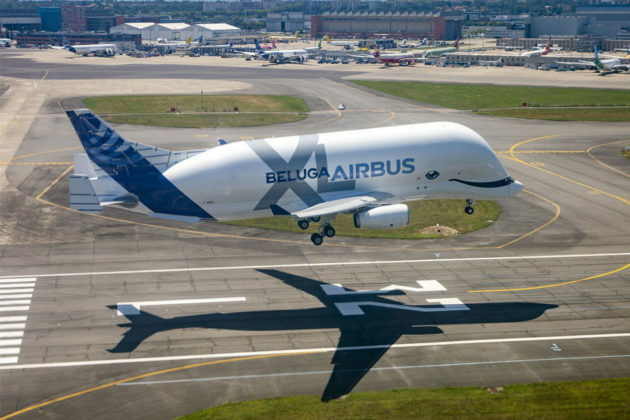 This is BelugaXL, the next-generation Airbus super transport destined to replace the original Beluga inducted into service in the mid 90s. Based on the Airbus A330-200 Freighter, the BelugaXL touts 30 percent more capacity and 12 percent bump in payload over its predecessor. 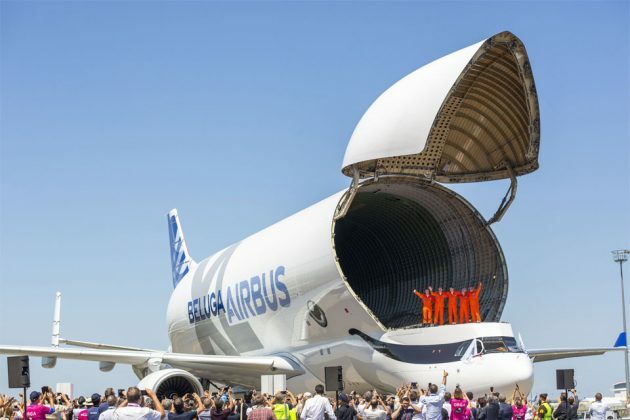 So, what’s so special about this supersized cargo plane? 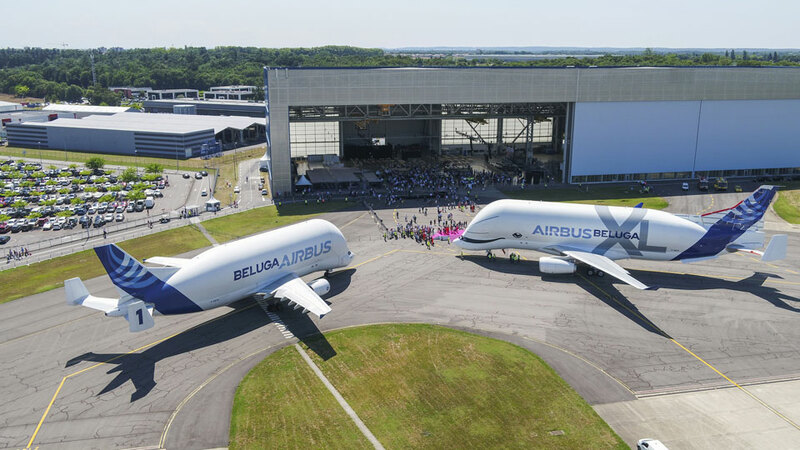 Obviously, a huge hump on a plane is not new; we have seen it since 1980s (remember the Super Guppy?). 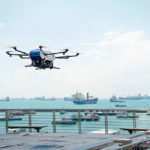 This latest iteration made news not just because it made its maiden flight, but it did so with a smile, like, literally. 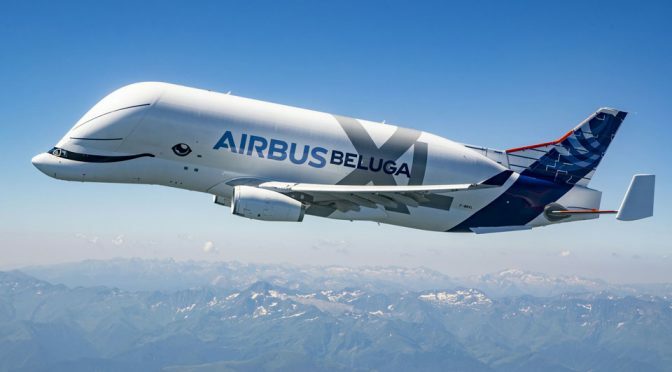 Those cheeky folks over at the France-based aircraft maker thought it could be fun to give the Beluga XL whale-inspired eyes, along with “an enthusiastic grin” to boot. So, in case you are wondering, no, this isn’t a character from Disney’s Planes. 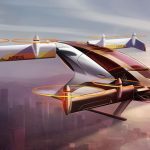 It is real aircraft, a super transport that will go into service in 2019 (and eventually replacing all Belugas by 2025). Pretty cool, eh? Beluga, for the uninitiated, was so named after a type of whale (and hence the quirky eyes and smile on the aircraft). 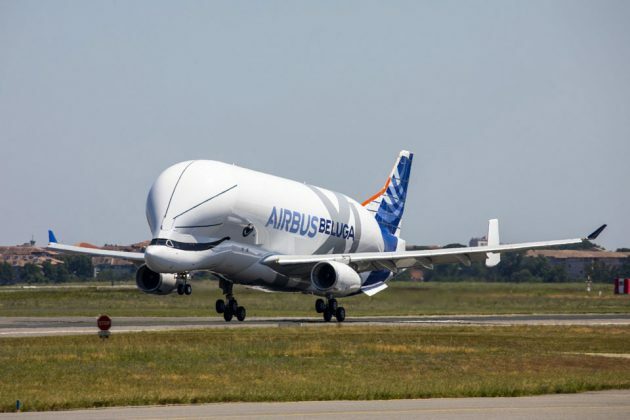 Despite the name association with the arctic-based marine creature, this aircraft is obviously many times larger and heftier the the sea mammal it borrowed the name from. 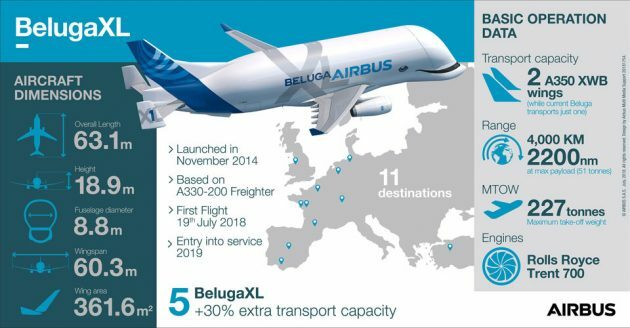 The BelugaXL program was launched in November 2014 to view of the need to cargo A350 XWB components. 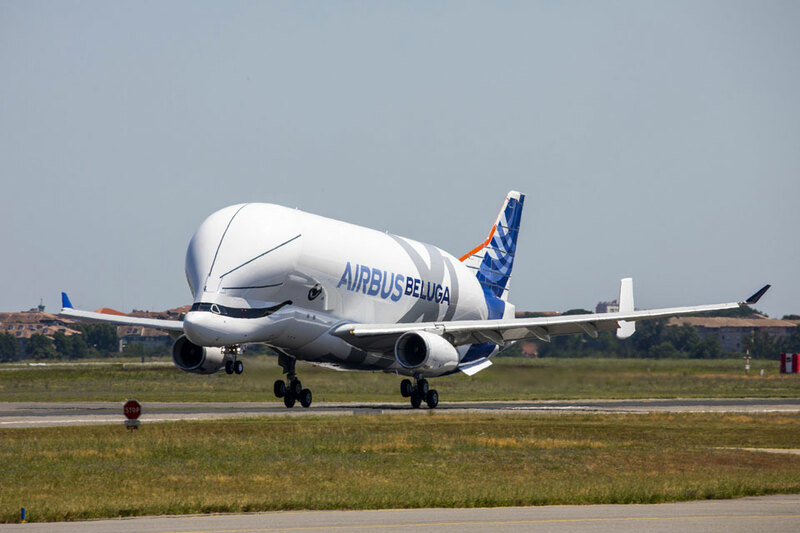 Speaking of which, it is said that the fuselage, which is almost 30 feet in diameter, is capable of swallowing two wings of the Airbus A350 jetliner. BelugaXL’s increased in capacity and payload are attributed by oversized tail section, longer horizontal stabilizer and fins. Thrust is offered by a pair of Rolls-Royce Trent 700 Turbofan, each producing 71,000 lb-ft of thrust, that affords it a takeoff weight of 227 tons. 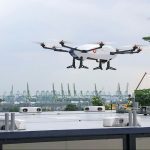 It has payload of over 50 tons and a has range of 4,000 miles (2,485 miles). 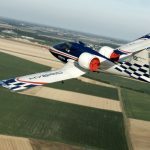 The maiden flight saw the aircraft taking off from France’s Toulouse-Blagnac Airport, flies for four hours and eleven minutes before landing back at Toulouse-Blagnac.